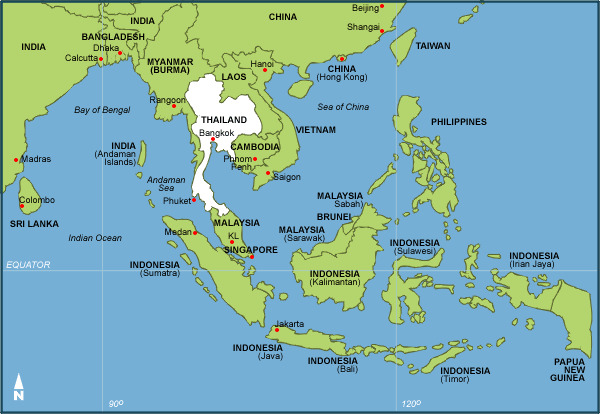 Many people ask me to suggest non-Thai golf destinations that can be combined together with a Thailand golf holiday. Here are a few of the most common locations outside Thailand that can easily be part of a two or three centered Thailand golf holiday. 1. Ho Chi Minh City (Saigon), Vietnam: Low cost hourly non-stop flights between Bangkok and Saigon and numerous international connections make Saigon an easy destination to combine with any Thailand golf holiday. I suggest 4 days in Saigon including 2 golf outings and 1 or 2 days sightseeing. Be sure to schedule golf on weekdays though as the Saigon golf courses are very crowded and mostly for local members on weekends. 2. Siem Reap, Cambodia: Home to the Angkor Wat Temples (one of the world’s seven wonders), Siem Reap now boasts 3 international standard golf courses. There are 4 daily flights between Bangkok and Siem Reap and I suggest 4 days golfing in Cambodia as a perfect add-on extension to any Thailand golf holiday. The combination of golf and history will make you glad you took time to visit this fascinating country, albeit an unheard of golf destination. 3. Kuala Lumpur (KL), Malaysia: In stark contrast to Thailand’s “Sabai Sabai” (relaxed) approach to life, KL is a fast-paced and modern city. The golf in Kuala Lumpur is excellent and you can play courses which regularly stage USPGA, European Tour, and Asian Tour events. Also, KL is easy to get to with direct flights from Chiang Mai, Bangkok and Phuket. Onward connections to most major cities of the world are easy to arrange and sometimes even less expensive than flights into/out of Thailand. Hotels are very reasonably priced and a wide range available to suit any budget and style of travel. 4. Bali, Indonesia: This might be stretching it a bit as the flying time between Thailand and Bali around 4.5 hours. Anyway, I thought I would mention Bali as the courses at the New Kuta Golf Resort and Nirwana Bali Golf Club taken together are the most spectacular duo in all of South East Asia. Add to this that Bali is an amazing tourist destination in its own right and you have what might just be the best island golf experience anywhere. If you are looking for a Thailand golf holiday and wanting to try something different this year, check-out one of these destinations at the beginning or end of your Thailand trip; you might just be surprised how good the golf is and gaining an appreciation for 2 cultures in one vacation is always a good thing!